In CA 271 we brought you news of astonishing Mesolithic finds at Vespasian’s Camp on Salisbury Plain, a potentially game-changing site for our understanding of the Stonehenge landscape. With the site about to star in the first episode of a new BBC archaeology series, we caught up with project director, Buckingham University’s David Jacques, to find out the latest. CA: Why did you choose this site to investigate? DJ: As a student working on a project in Amesbury, I wondered why Vespasian’s Camp was such an archaeological blind spot. When I realised that it was because of assumptions about the extent of 18th century landscaping, I investigated further and found that an area northeast of the camp was largely untouched. A reconstruction of what the ancient woman may have looked like when she was buried. More than 4,000 years ago, a woman, perhaps an ancient queen, was carefully laid to rest outside of modern-day London, ornamented with beads of gold strung around her neck and a large drinking cup placed at her hip. Archaeologists have just uncovered her grave at a quarry that lies between Windsor Castle and Heathrow airport. The gold ornaments suggest the woman was important, possibly of the elite and even a princess or queen, the excavators said. The woman's bones have been degraded by acid in the soil, making radiocarbon dating and DNA analysis impossible. Nonetheless, excavators believe she was at least 35 years old when she died sometime between 2500 B.C. 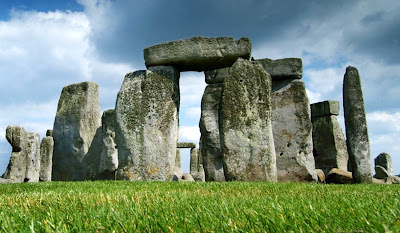 and 2200 B.C., around the era Stonehenge was constructed. Archaeologists have taken to the Belfast hills in an effort to uncover hidden treasure of bygone years. The big dig on Divis Mountain has already unearthed flints, pottery and other artefacts - proof, say experts, that life once flourished there. "We know that there are pre-historic remains here, we find them all over the hills" said National Trust archaeologist Malachy Conway. "We started finding flints which are probably about 4,000 years old. "Most people will always associate Divis and Black Mountain with the fact that the land was locked out because it was Ministry of Defence property, but in many ways that actually helped the site because it preserved the archaeology." The grand Mycenaens, the first Greeks, inspired the legends of the Trojan Wars, "The Iliad" and "The Odyssey." Their culture abruptly declined around 1200 B.C., marking the start of a Dark Ages in Greece. The disappearance of the Mycenaens is a Mediterranean mystery. Leading explanations include warfare with invaders or uprising by lower classes. Some scientists also think one of the country's frequent earthquakes could have contributed to the culture's collapse. At the ruins of Tiryns, a fortified palace, geologists hope to find evidence to confirm whether an earthquake was a likely culprit. Human ancestors that walked the earth left few traces of their passage. Some of their footprints have lithified, or turned to stone, but some survive to this day, unlithified, in soft sediment such as silt. These fragile records of ancient footprints pose a sizable challenge to archaeologists today: how do you preserve the ephemeral? According to new research published in PLOS ONE, the answer may be to “record and digitally rescue” these footprint sites. The authors explored two methods in this study: digital photogrammetry, where researchers strategically photograph an object in order to derive measurements; and optical laser scanning, where light is used to measure the object’s physical properties. To begin, the authors filled trays with mixtures of sand, cement, and plaster and instructed a participant to walk through these samples. Four wooden 1 cm cubes were then placed beside a select number of footprints and photographs were taken. A laser scanner was then used to measure the same footprints. This simple procedure was also replicated outside of the lab, at a beach in North West England. 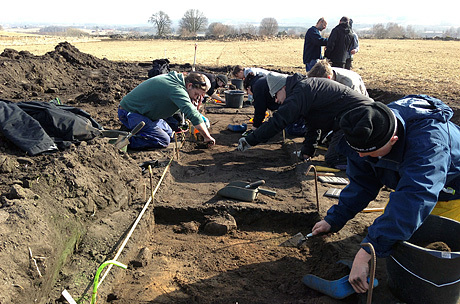 Researchers from the University of Gothenburg, Sweden, have spent many years studying the remains of a Stone Age community in Karleby outside the town of Falköping, Sweden. The researchers have for example tried to identify parts of the inhabitants' diet. Right now they are looking for evidence that fertilisers were used already during the Scandinavian Stone Age, and the results of their first analyses may be exactly what they are looking for. 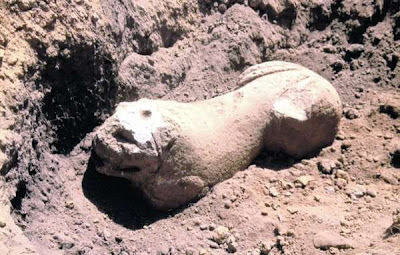 Recent excavations at the necropolis of Banditaccia in Cerveteri have unearthed a statue of a lion and an Etruscan tomb. Italian newspaper ‘Il Messaggero’ reports that a team of archaeologists has uncovered a masterpiece of Etruscan art in the form of the Leone di Cerveteri (Cerveteri Lion). The statue of a crouching lion is made from volcanic tuff and dates to the 6th century BC. The piece is said to be in perfect condition, showing taut muscles and well-defined legs. The Cerveteri Lion is the first entire lion statue found at the site. It was found at the foot of what experts describe as an altar for funeral rites and was the “guardian” of an extraordinary tomb discovered only a few yards away. The newly discovered tomb is in the form of an underground rectangular chamber accessed by a monumental staircase. The chamber dates from the 4th to 3rd century BC. The chamber contained some 20 skeletons, of which seven are well preserved. Big brains, no fur, sinuses … are these clues to our ancestors' lives as 'aquatic apes'? 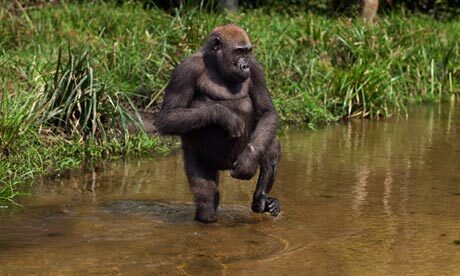 It is one of the most unusual evolutionary ideas ever proposed: humans are amphibious apes who lost their fur, started to walk upright and developed big brains because they took to living the good life by the water's edge. This is the aquatic ape theory and although treated with derision by some academics over the past 50 years, it is still backed by a small, but committed group of scientists. Next week they will hold a major London conference when several speakers, including David Attenborough, will voice support for the theory. "Humans are very different from other apes," said Peter Rhys Evans, an organiser of Human Evolution: Past, Present and Future. "We lack fur, walk upright, have big brains and subcutaneous fat and have a descended larynx, a feature common among aquatic animals but not apes." These courses enable you to experience all this through online archaeological resources based on primary evidence from excavations and artefacts and from complex scientific processes and current thinking. Together with guided reading, discussion and activities you can experience how archaeologists work today to increase our knowledge of people and societies from the past. The two artist’s reconstructions are an impression of how the person may have looked during their life, and when placed in the grave. We know that the skeleton was that of an adult aged 35 or over and that they were placed in a crouched position, resting on their right side, facing east with their head towards the south – a rite that tends to be reserved for females at this time. Although the skull could be lifted in a soil block the bone was too degraded to attempt any form of accurate facial reconstruction – the face is that of the female artist! We have made the decision that the beads, along with an absence of more typical male grave goods, indicate a probable female burial. However, this assumption could be wrong as a number of beads have been found with men. This issue is further complicated as such items could represent gender and/or could be gifts from female mourners. Have you been reading about rare Neolithic houses and a Beaker burial containing a ‘prehistoric princess’ recently? These discoveries were made during our excavations at Kingsmead Quarry, Horton. Saturday 27th April 2013, we are holding a FREE open day to showcase some of the amazing finds from these excavations. The event will be held in Wraysbury Village Hall, Berkshire (TW19 5NA) 10.30 am to 3.30 pm. The exhibition is open to all and explores the discoveries from the site as we present the hidden past beneath Horton’s landscape and uncover the imprints left by farming and ritual activity. Vermittlung von persönlich ausgewählten Hotels mit Swimmingpool mit Charme, Stil und Ambiente in Traumlagen und den schönsten Orten des Gardasees. Persönliche und individuelle Beratung. Jetzt buchen! DNA taken from ancient European skeletons reveals that the genetic makeup of Europe mysteriously transformed about 4,500 years ago, new research suggests. Here, a skeleton, not used in the study, but from the same time period, that was excavated from a grave in Sweden. The genetic lineage of Europe mysteriously transformed about 4,500 years ago, new research suggests. The findings, detailed today (April 23) in the journal Nature Communications, were drawn from several skeletons unearthed in central Europe that were up to 7,500 years old. "What is intriguing is that the genetic markers of this first pan-European culture, which was clearly very successful, were then suddenly replaced around 4,500 years ago, and we don't know why," said study co-author Alan Cooper, of the University of Adelaide Australian Center for Ancient DNA, in a statement. "Something major happened, and the hunt is now on to find out what that was." Archaeological excavations at CEMEX’s Kingsmead Quarry in Berkshire not far from Windsor have revealed a rare 'Beaker' burial of 'Copper Age' date (2500-2200 BC). Found within the grave were some of Britain’s earliest gold ornaments (five tubular beads), along with 29 bead fragments of amber and 30 beads of black lignite. The burial contained the possible remains of a woman who was at least 35 years old. At the time of her burial, she wore a necklace containing small tubular sheet gold beads and black disc beads of lignite - a material similar to jet. A number of larger perforated amber buttons/fasteners were also found in a row along her body, which may indicate that she was wearing clothing, perhaps of patterned woven wool, at the time of her burial. Further lignite beads from near her hands suggest that she wore a bracelet. The woman’s burial represents an unusual and important find as only a small number of Beaker burials from Britain contain gold ornaments, and most are associated with male skeletons. It would appear that their religious beliefs dictate that most men were buried in a crouched position with the head resting to the north and facing east. With women the body position is often reversed with the head to the south. Archaeologists from the University of Leicester in the UK have uncovered one of the biggest groups of Iron Age metal artefacts to be found in the region -- in addition to finding dice and gaming pieces. Both staff and students from the University's School of Archaeology and Ancient History and University of Leicester Archaeological Services are involved in the project, now in its fourth year. Archaeological works that have been going on for two years in the region of the Lower Sabor River in north-eastern Portugal have turned up unique finds dating back millions of years, a source told Lusa News Agency. “We are finishing the field work at more than 100 sites dating from the Stone Age to modern day, said archaeologist Rita Gaspar. Gaspar told reporters there were three exceptional sites in the Sabor valley, where works would continue for a few more months and others that were already closing down. At one of the sites, archaeologists found thousands of stones with graven images belonging to what they called “moveable rock art”. 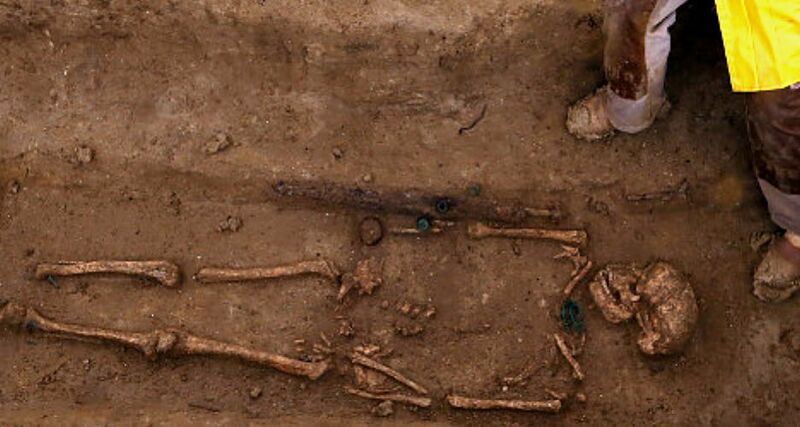 Archaeologists, excavating near the Royal Borough, have discovered the 4400 year old gold-adorned skeleton of an upper class woman who was almost certainly a member of the local ruling elite. She is the earliest known woman adorned with such treasures ever found in Britain. Ancient metal artefacts found at a Leicestershire site could go on permanent display, archaeologists say. The dig at Burrough Hill, near Melton Mowbray, has uncovered one of the biggest collections of Iron Age metalwork found in the East Midlands. The finds include spears, knives, iron brooches, reaping hooks and the decorative bronze trim from a shield. Burrough Hill is the site of an Iron Age fort but no major excavation had taken place there since the 1970s. Proof of Bronze Age activity can be found throughout the whole of the Norfolk Broads, archaeologists claim. The Middle Bronze Age field system at Ormesby St Michael in 2010 is not unique to the area, Nick Gilmour said. 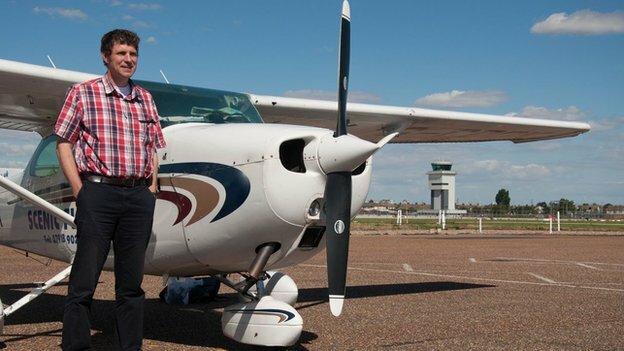 Mr Gilmour, who will feature in The Flying Archaeologist on BBC One, said aerial photos suggest clear signs of life well before the Broads were dug. "The more you look the more you start seeing Bronze Age everywhere," he will say on the programme, at 19:30 BST. Mr Gilmour was involved with the discovery of the complex field systems, which date back to about 1,500 BC. It was previously thought the systems had not existed further east than the Cambridgeshire Fens. Salisbury Plain is renowned for its spectacular Neolithic monuments, but decades of research have found few traces of earlier activity in the Stonehenge landscape. Now the discovery of the plain’s oldest residential site has uncovered evidence of 9,000 years of ritual and domestic activity, beginning three millennia before Stonehenge was built, as David Jacques, Tom Phillips, and Tom Lyons explained. About a mile east of Stonehenge, an impressive promontory rises out of Salisbury Plain to around 95m above sea level. Situated close to the Avenue and Bluestonehenge (CA 237), commanding extensive views over the river Avon, and surrounded at all points of the compass by important prehistoric and historic sites and monuments, this spot might be expected to have held pivotal cultural significance for the plain’s early inhabitants for its location alone. But until our small-scale Open University excavations began in 2005, the Iron Age fortifications cresting the hill had received little archaeological attention. North-Rhine Westphalia's unique cultural heritage is under threat. Massive cutbacks in public funding of cultural heritage have been announced. The German Society for Pre- and Protohistory has started an online-petition to urge the government to rethink their plans. In Germany the petition has already become an overwhelming success with 16.000 signees and surprisingly wide resonance in the press within three weeks. 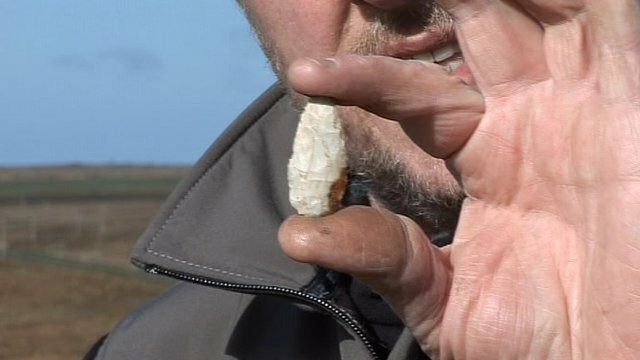 An experiment is under way in Wiltshire to find out more about Neolithic building methods. Using archaeological evidence unearthed from nearby Durrington Walls, three structures are being built at Old Sarum Castle, near Salisbury. 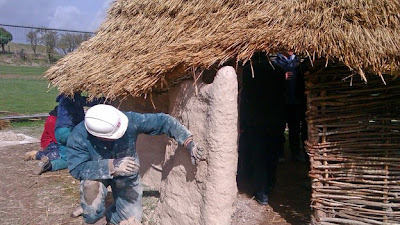 The English Heritage project aims to discover what was the most efficient way of building with locally-sourced materials. The final reconstructions will be built at Stonehenge later this year. They will be put up outside the new visitor centre. 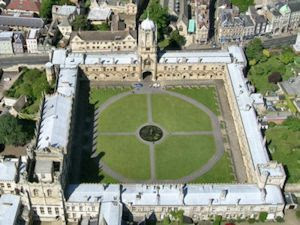 The experiment is part of a £27m English Heritage scheme looking at how the setting of the ancient monument can be improved. The recreated Neolithic buildings will form part of an "interactive and experiential" external exhibition at the 3,500-year-old World Heritage site. BUCHERES, France — In a muddy field located between a motorway and a meander of the Seine southeast of Paris, French archaeologists have uncovered an Iron Age graveyard that they believe will shed light on the great yet enigmatic civilisation of Gaul. The site, earmarked for a warehouse project on the outskirts of Troyes, is yielding a stunning array of finds, including five Celtic warriors, whose weapons and adornments attest to membership of a powerful but long-lost elite. Archaeologist Emilie Millet is crouched at one of 14 burial sites that have been uncovered in recent weeks. At her feet are the remains of a tall warrior, complete with a 70-centimetre (28-inch) iron sword still in its scabbard. To most people, a useless flint axe is just that. To archaeologist Sigrid Alræk Dugstad, it is a source of information about Stone Age children. Whereas arrowheads, axes and other formal tools have traditionally received a lot of attention in research, the archaeologist Sigrid Alræk Dugstad now concentrates on what is at the bottom of the hierarchy, namely the production debris and the unfinished and discarded products. In the article "Early child caught knapping: A novice early Mesolithic flintknapper in southwestern Norway," she has turned upside down the hierarchy of objects from the Early Stone Age. "A succession of failed strokes, terminating in many hinge and step fractures, indicates that axe was made by a novice flintknapper, probably a child," Dugstad says. Since its discovery in 2003, researchers have struggled to explain the origins of these metre high, tiny-brained people, known scientifically asHomo floresiensis. French archaeologists have unearthed the graves of several Gaul warriors dating back around 2300 years, at the site of a huge business park development near the city of Troyes in central France. Archaeologists from the National Institute for Preventive Archaeological Research (Inrap) have been carrying out excavations at the site near Buchères over the course of recent years. But even they were surprised by their latest discovery at the 260-hectare site, which is set to become the Aube Logistical Park. 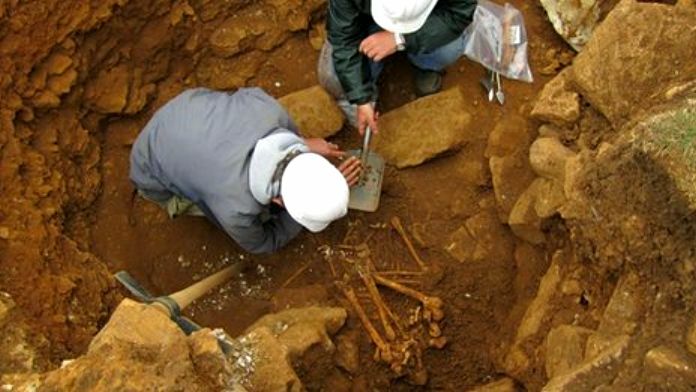 Around 30 graves dating back to between 260 and 325 BC were identified at the site, with around half being excavated, revealing the remains of Gaul warriors, with weapons and shields in hand. Women are buried alongside them. It dominated science headlines when the news was first released. 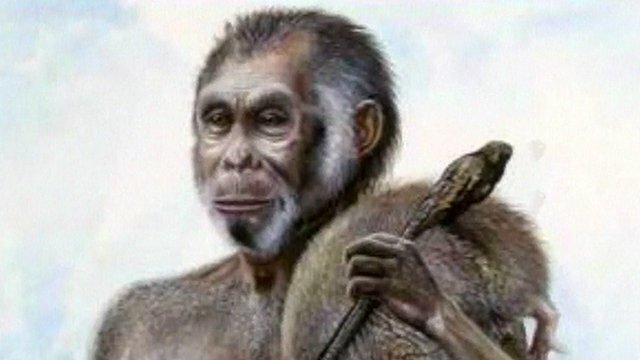 The discovery of the remains of a new species of ancient hominin (human ancestor) revealed a candidate that sported a mosaic of features both ape-like and human -- an unprecedented 2-million-year-old hybrid called Australopithecus sediba (Au. sediba). First stumbled upon in 2008 by Professor Lee Berger of the University of the Witwatersrand and his then 9-year-old son Matthew at the fossil bearing site of Malapa in South Africa, the finds, consisting of remarkably complete skeletal remains as well as other well-preserved fauna and flora, instantly became the subject of perhaps the most intense and thoroughly studied hominin fossils ever documented.